Our team is dedicated to helping provide children with the necessary building blocks for creating a positive dental attitude. 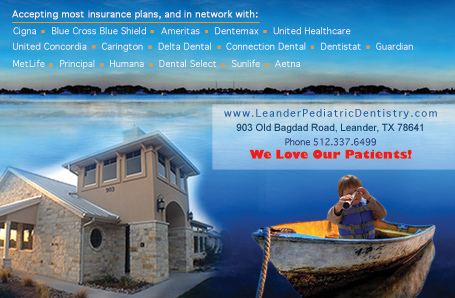 Melissa is the Office Manager at Leander Pediatric Dentistry. 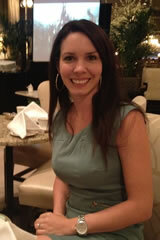 She has been in the dental field for ten years and enjoys working in both the front office and back clinical areas. Melissa is a lifetime member of the American Association of Dental Office Managers, and is a Certified Dental Assistant, Registered Dental Assistant, and holds expanded function certificates in Coronal Polishing, Nitrous Oxide Monitoring, and Sealants. Volunteering is a passion of Melissa’s and she enjoys giving back to the community with Caritas of Austin, Bookspring, Ronald McDonald House, Mobile Art Program, and Manos de Cristos. Melissa has organized and presented at numerous preschools and kindergartens on the importance of good dental health and what to expect when you visit the dentist. Along with running with her husband, Dr. Scott, Melissa also loves to travel, bake, and read.